Standard - $26.99 Only 2 left! 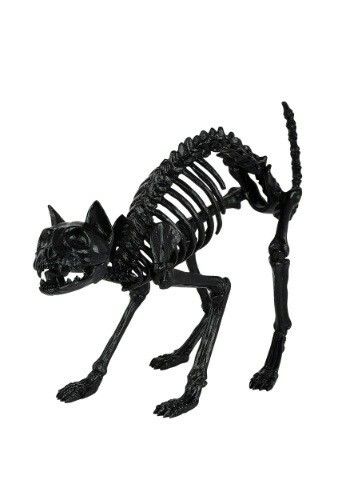 This Black Skeleton Cat Prop doesn't need any of those things! He's already dead (did you let him near your cauldron again? ), so he doesn't need any food, and even with his movable joints, he doesn't make any messes. We admit that taking him to the vet for a check-up is a fun prank, like wearing a tux to a job interview, but we don't recommend it.